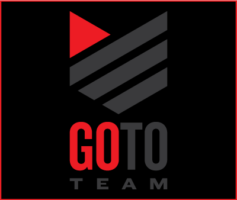 If you didn’t know Joey Logano before last NASCAR season, you probably do now. The 19 year old won the 2009 Sprint Cup Series Rookie of the Year Award and is the youngest driver to win in two of NASCAR’s top three divisions. This is what earned him the nickname “Sliced Bread,” because he may be the greatest thing since. 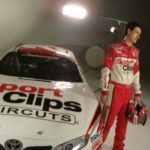 In late January, Go To Team’s Virginia/DC based HD video crew spent a day with Joey shooting a few ad spots for his Nationwide Series sponsor, Sport Clips on the Panasonic HDX900. 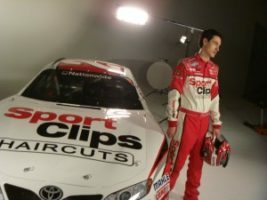 We started off in a Sport Clips store with Logano proclaiming, “At Sport Clips, it’s good to be a man.” Then we moved to a studio where Joey posed with his Toyota Camry. During some down time, the 19 year old played a few games of impromptu cooler ball with the crew and had a few laughs. Look for the Sport Clips ad campaign with Joey Logano during this NASCAR season.